Hamilton holding online and video auditions for rappers, singers and actors. The hit Broadway show, is on the lookout for talented performers who would love to join the cast of the national touring production, the Broadway show and the newest addition, the London company. The show hold ongoing online video auditions for performers who would love a shot at a spot in the show. Adult performers who want a chance to get cast in “Hamilton” are able to send in a video audition in hopes of landing a coveted part. The show incorporates hip hop music and an ethnically diverse cast to re-tell the story of America’s founding fathers. 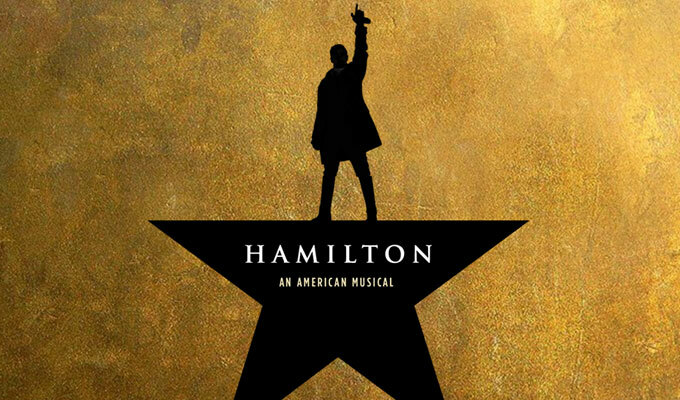 Written by Lin-Manuel Miranda, “Hamilton” is described as a groundbreaking, hip hop oriented musical which explores America’s founding in a modern and entertaining way. ”Hamilton” is said to have been created by Lin-Manuel Miranda while on vacation. According to published articles, Miranda began reading a biography of Alexander Hamilton which was written by historian Ron Chernow, while on a trip. Having been so inspired by the story, Miranda, imagined a show which could tell the story of the early days of America, set to hip hop musical scores and rap. The show has received unprecedented critical acclaim and added a grammy to it’s growing list of awards. The Broadway show was such a hit that the production created a national touring unit as well. Last year, another unit opened in London. The traveling national show has engagements in most major cities, coast to coast, set for 2018 & 2019. DO YOU WANT TO BE IN HAMILTON? Interested? See the deatilas below for information on how to get cast. We are seeking excellent performers for our current Broadway company and upcoming National Tours. A video via an unlisted YouTube link or Vimeo that includes: a brief (under 1 minute) pop/rock song that shows your vocal range and a brief rap (under 1 minute) that shows your skill level. Please have a piano accompany you. Hello, I uploaded the following information and audition video to the email address provided. However, the automated email I received states this email address is not valid. To which email do I send the information to? I would love to submit a video and possibly be on your show. What steps should i take? Hi my name is Darrell Edward Banks. I love to entertain, I love the attention the crowd response, the audience falling out of their seats laughing, or sharing a tear or too, the standing ovation after well performed sold out show. I am asking, better yet, will be honored to audition for Hamilton, just to be a part of the phenomenon will be quit a stepping stone towards greatness, another goal accomplished.